^That's definitely not Yamap, he looks similarish, but his eyes are bigger. He looks korean. I never saw a japanese celeb like that before. His eyes are big. They're just like that. Google 'yamashita tomohisa' and you'll get it. WOW.. 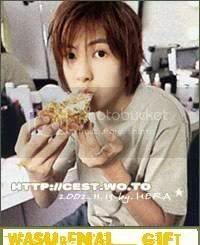 I thought it was yamapi as well! hiii, anyone know who this is? go ask for some piks in the ulzzang mania thread. isn't he also an actor now kekeke . is she the same person as Sunday the Grace? Jin Bora from Anyband is a jazz musician not a gasoo. Sunday's real name is Jin Bora. just want to say thanks for pinning a thread like this (same goes for in the Other Celebs section). and it helps you learn about people or see pics you haven't seen. that is yamapi for sure. Ooh it's Fung, I think !